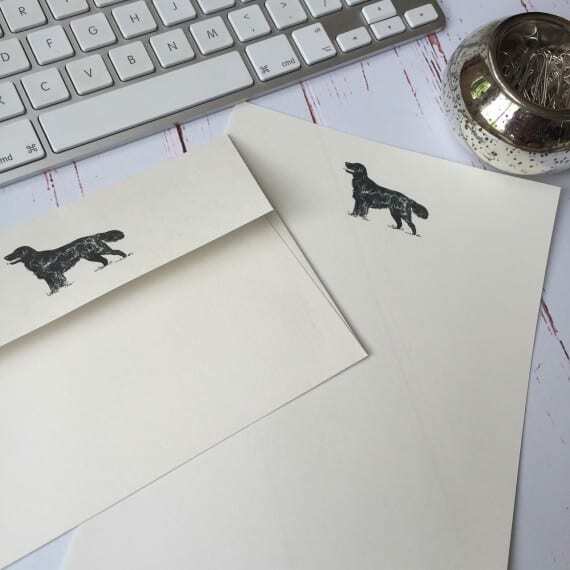 Our crafted A5 writing paper is a great way for you to keep in touch with friends and family. 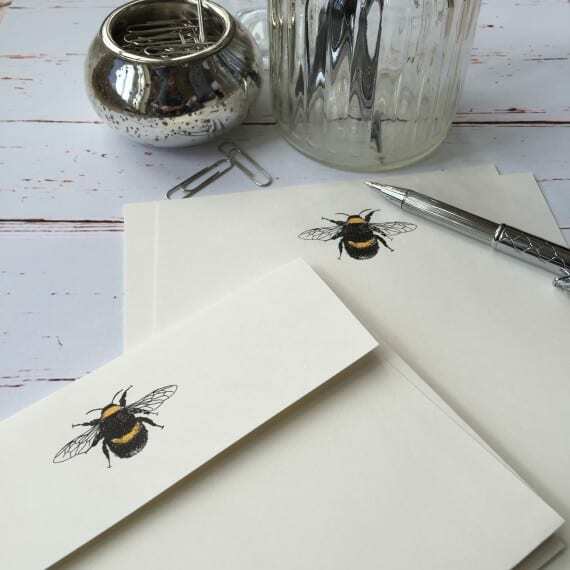 The A5 (148 mm x 210 mm) writing paper comes with a hand drawn Bumble Bee illustration which also features on the back of the envelope. 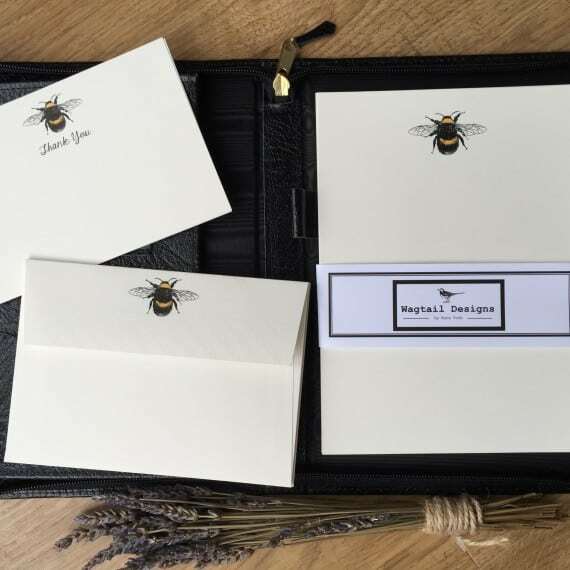 The paper is high quality (120 gms) ivory (cream) with quality envelopes to match and they are presented in a lovely black gift box. All of our products are gift wrapped. The set includes a line guide for your convenience. The A5 (148 mm x 210 mm) writing paper comes with a hand drawn Bumble Bee illustration which also features on the back of the envelope. The paper is high quality (120 gms) ivory (cream) with quality envelopes to match. All writing sets are presented in a lovely black box with ribbon. All of our products are carefully gift wrapped.